1-Spot Power Supply, AC Adapters for Pedal from Truetone in the 1 Spot series. I have been using this unit for 6 months. The first thing that's great about this unit is the compatibility options. this thing can supply 9v/12v boss (aca) pedals, 9v high current Line 6 pedals, a sag control option and 18v/24v pedals with custom cables that are sold separately (unfortunately). I love that you also get a 3-prong outlet on the back. I have a diamond halo chorus pedal that has a funky power supply option so the 3-prong outlet was perfect for plugging that in. All these options make this an ideal power supply for beginners (most boss pedals and line 6 pedals are beginner pedals in my opinion, they just aren't as amazing as some of the higher end pedals) and pedal connoisseurs alike. 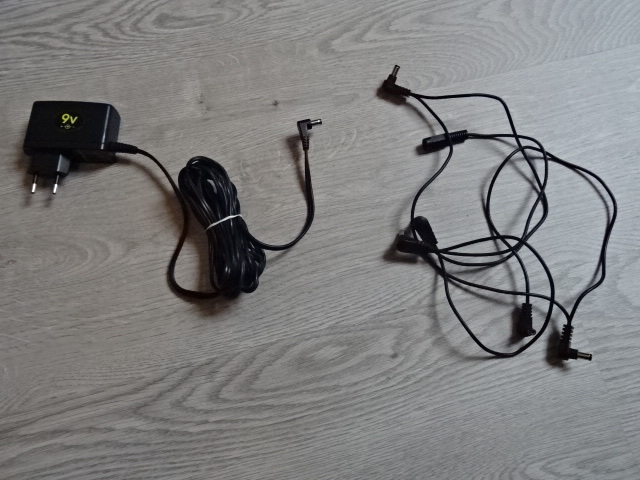 I guess what I liked least about it was how short the power cables that came with it are. I am a guitarist but also a piano player (Rhodes) so I sometimes have some pedals on the floor and some on top of my piano. If all your pedals are not within a 1 1/2 feet, you will have the same problem. I have furman rackmounted power conditioners, but this is the first one I have had just for guitar pedals. I actually got mine used for $100, but I would have paid the full price. I have over $2000 worth of effects pedals so its worth knowing they are protected and the power is correctly supplied. There are a few other things I should add. The SAG feature (supplies low voltage so it simulates low battery) seems a little strange. I have yet to use it and have not needed to use the last two jacks yet but according to the manual, you can select exactly what voltage your pedal is receiving, so.... that means that all the power jacks can be 9V. I only write this because I almost didn't get the pedal power 2 because I thought the SAG feature was unchangeable. All in all, its a great device for people who are serious about there effects, I would definitely buy it again! This is an innovative 'one spot' adapter, basically an adapter that only takes up one spot. You can purchase daisy chains to power up to 8 pedals for each adapter. It's worldwide usage is what makes it quite popular in my opinion and the fact that it actually works is also helpful! There have been many debates about using power adapters over brick power supplies etc and yes I used to use a brick power supply, a few different types of which have been very great! However the 1 spot seems to do the job just as well I think. Of course there are disadvantages and advantages to using either but it also depends on the budget and what type of rig you've got etc. I think most everyday jammers and casual giggers would probably suffice with this type of power supply. It's relatively low noise and reliable. While most pro gig players would probably have that peace of mind with the power supplies. Oddly enough I went from using a huge board and a power supply down to just less than 5 pedals and the 1 spot and I haven't had any troubles in live situations. I've also seen a few of my guitar player buddies in their bands using the 1 spot with their boards and live, I didn't notice any extra noise or see them struggle with powering anything. They're the ones that convinced me to simplify my rig to a most 'realistic' rig. The fact that it provides more MA than anybody usually needs means that you power nearly anything with it! Great, good, quick! 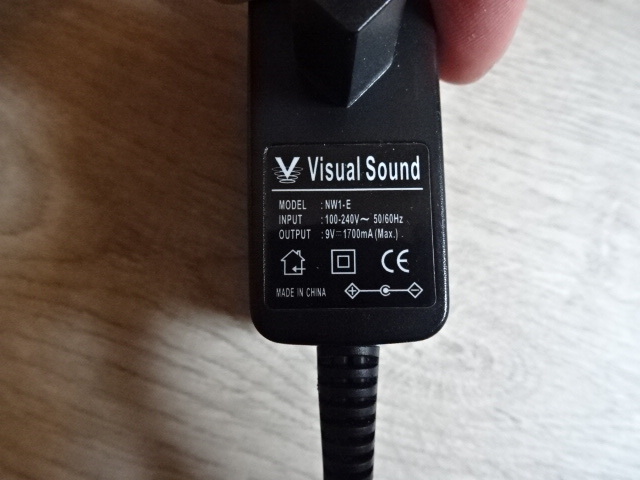 The Visual Sound 1-Spot nine volt power supply is designed for use with effects pedals and will work with just about any pedal that requires nine volts of power. I've never been in a situation where it didn't work for a pedal that I was trying to use and I've used it with Boss, Ibanez, and a number of other brands of pedals. I would double check to make sure that your pedal will be compatible with this power supply, but it should work with any pedal that needs nine volts of power. 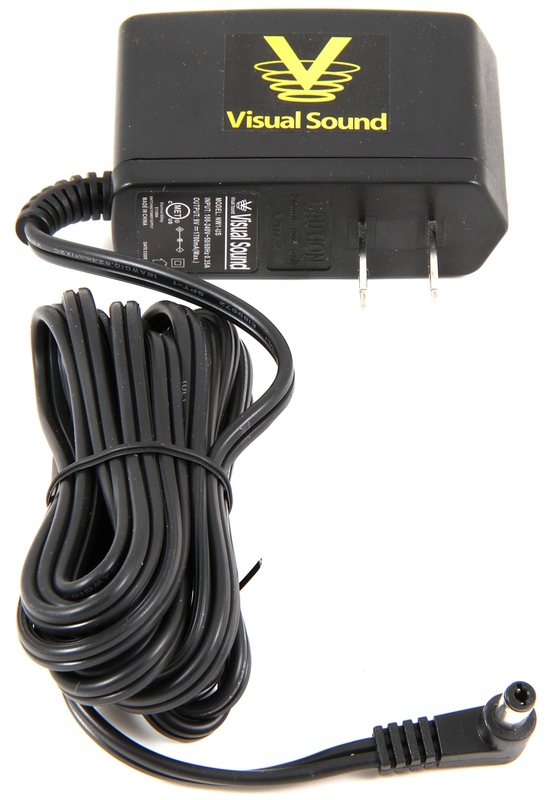 I have also used this in tandem with the daisy chain and it does a great job as I don't get any extraneous noise coming from the power supply as I often do with other power supplies. It is also great that this isn't a huge wall wart power supply as it easily fits on a power strip without covering up other inputs. Another good thing about the Visual Sound 1-Spot is that the chord is extremely long and will reach quite far. With other power supplies I found myself not being able to reach and having to move my pedals, which can be a major hassle while trying to set up quickly on stage. 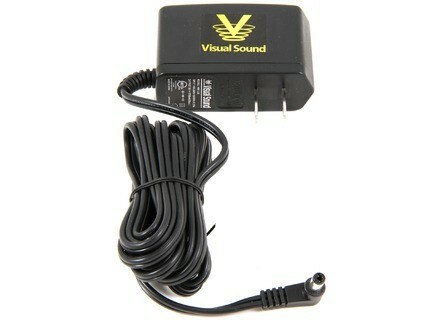 Beyond these nice features, this is a simple power supply and will definitely do the job that it advertises to do. The price of the 1-Spot is about the same price as a Boss power supply, but is will only take up a single spot on your power source and in my opinion just feels a lot sturdier than other power supplies that I have used in the past. 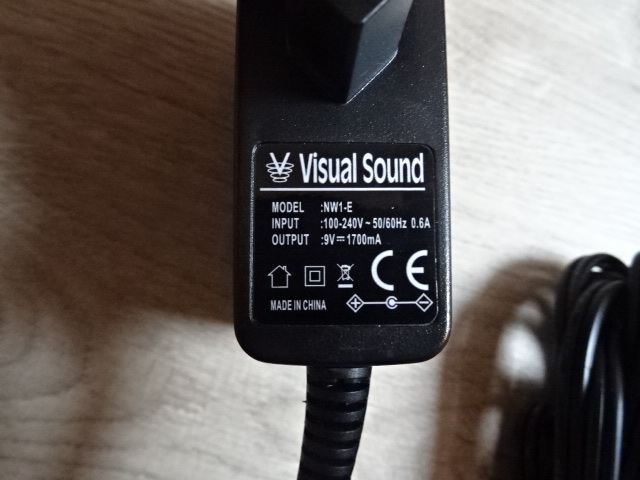 If you have a bunch of pedals that require nine volt power I would definitely recommend picking up the Visual Sound 1-Spot and the daisy chain as it is probably the best option out there in terms of powering your standard size power supplies. Stratocarmin's review (This content has been automatically translated from French)" More Buzz!" I had a buzz on my pedalboard with 9 serial effects. 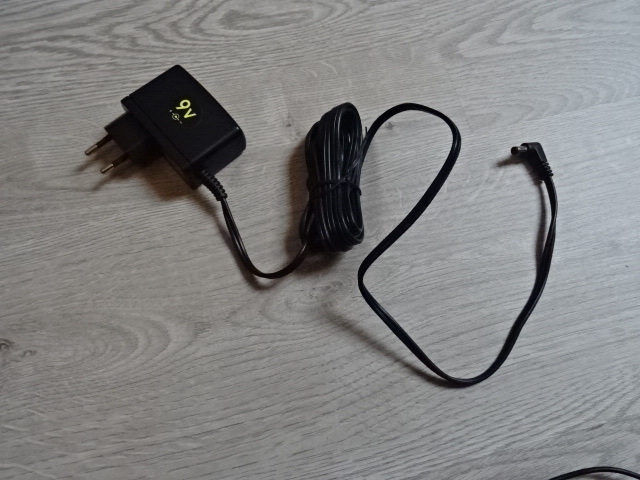 I bought this power supply to Paris. I no longer have since Buzz. Anyway go there it's great that transformer.